The Lazyman Ironman returns to the BYU-Idaho fitness activities calendar in February, continuing its eighth year since beginning in October 2010. Nate Anderson, a sophomore studying healthcare administration and last year’s manager of the Teton Dam Marathon, will be managing the month-long race this semester. Students have from Feb. 1 to Feb. 28 to run 26 miles, bike 112 miles and swim 2.4 miles. “They can use everything on campus to accomplish it,” Anderson said. He said everything from the stationary cycling machines and swimming pool in the John W. Hart Building to the track in the BYU-Idaho Center is fair game. Anderson said many students use the stationary cycles in the fitness center to meet that portion of the race if they don’t have a bike or anywhere to ride this time of year. Anderson said the Lazyman Ironman is a great way to get in shape, set goals and finish a triathlon at your own pace. Robison said the reason the Lazyman Ironman happens in February is to help students keep up with their new year’s resolutions. Anderson said he put together a plan for all types of athletes to give everyone a chance to finish the Lazyman Ironman on time. The plans are separated into three different categories: beginner, intermediate and advanced. All three plans map out the things needed to finish on time for each level of athlete. Beginner: 4 Weeks (28 days). This is geared toward those who are out of shape but working on getting in to shape. Of course, you don’t need to work on all three challenges each day. 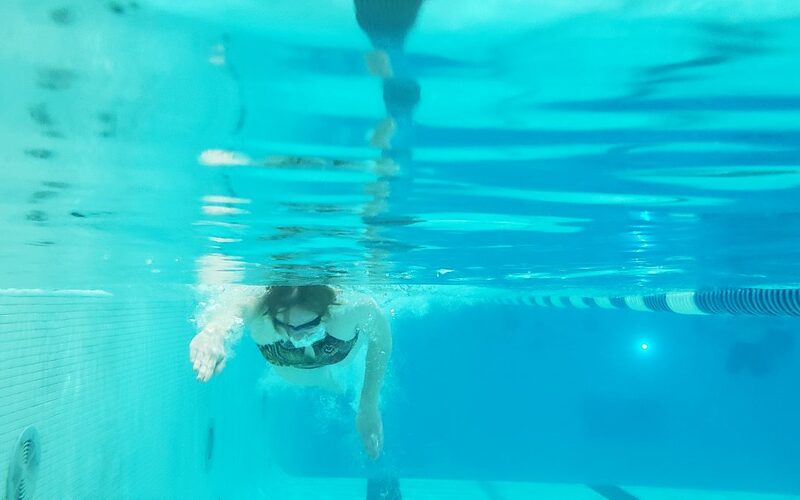 If you would rather work on completing one challenge at a time, Anderson suggests that you start with biking, then running and work on completing swimming last. Intermediate: 2 weeks, 4 days (18 days total). Again, no obligation to follow a daily routine consisting of all three challenges. Advanced: 1 week, 3 days (10 days total). For those who are advanced, Anderson recommends doing the challenges in the same order triathlons and Ironmans are done in. Swimming first, biking second, running third.